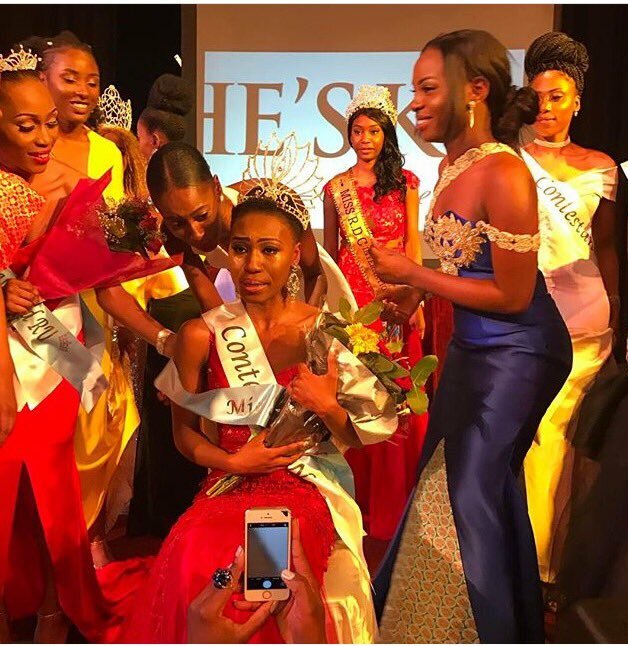 If you are in need of a little inspiration, look no further than Horcelie Sinda Wa Mbongo, a 22-year-old activist, Fine Arts student, and recently crowned Miss Congo UK 2017. She is more than just a pretty face. According to BBC Africa, she has found a way to use her platform to end the stigma around living life with HIV and AIDS. “I was born in the Congo and I only discovered that I was HIV positive here in the UK,” Mbongo told BBC Africa of receiving her diagnosis at age 11-years-old. “I was one of many children born with HIV who did not have the medication, but somehow the virus is not fighting the body as fast as other people. What that means, is that I lived ten years without any medication at all”. According to UNAIDS, there are approximately 370,000 people living with HIV in the Democratic Republic of Congo; with 11 percent being children under that age of 14-years-old. In contrast, there are an estimated 1.2 million people in the United States living with HIV, including 156,300 individuals who do not know they are infected, the Centers for Disease Control and Prevention reports.